This a sponsored post written by me on behalf of the Tulip brand. The opinions, text and creative content are all my own. Affiliate links are also provided for your convenience. 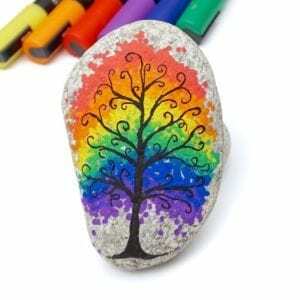 I hope this rock painting idea helps inspire you. 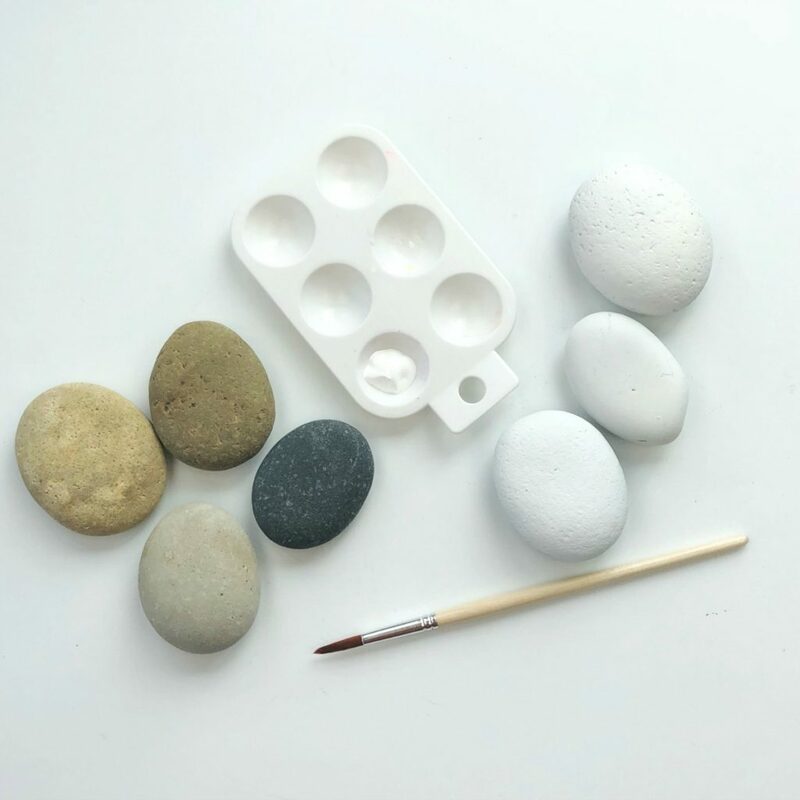 If you haven’t tried painting rocks using puffy paints you need to put it on your crafting must try list. 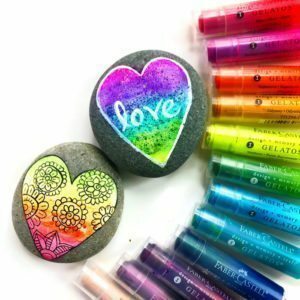 The best part about using puffy paints on rocks is that you can use them not only to create dimensional rock painting designs, but they can also be used to create beautiful gradient backgrounds. 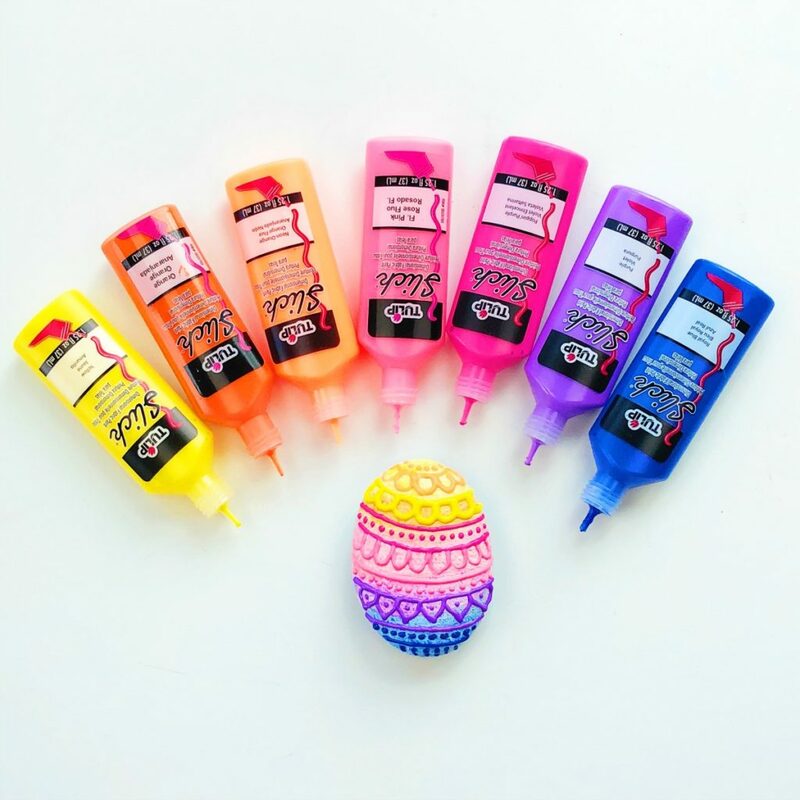 The key though is that not all puffy paints are created equal. What I love about Tulip Dimensional Fabric Paints are the tips! 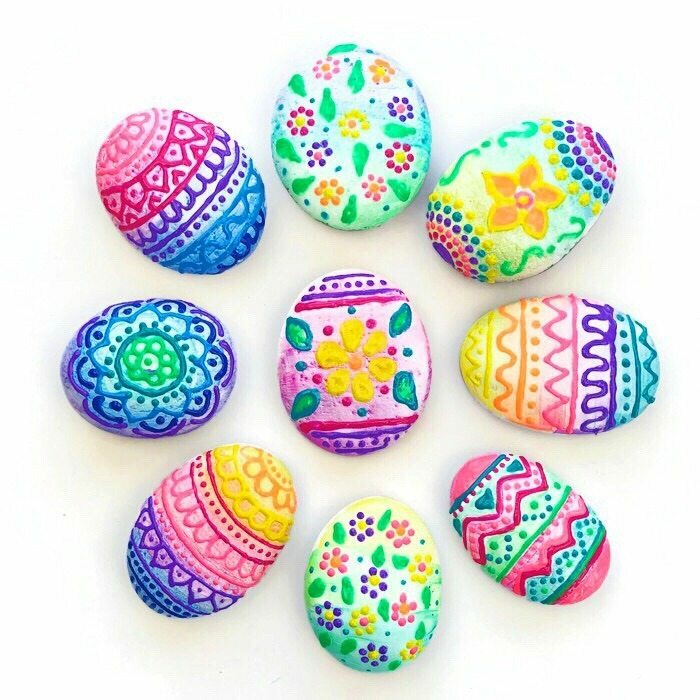 They are the perfect size and small enough for creating intricate designs even on a small canvas like a rock. 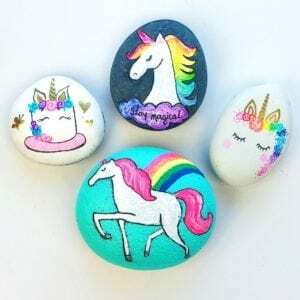 Rocks – if you have trouble finding rocks outside, check my post here for great recommendations on where you can purchase rocks for rock painting. Tulip Dimensional Fabric Paint – I love this multi-pack because it has a variety of colors choose from. 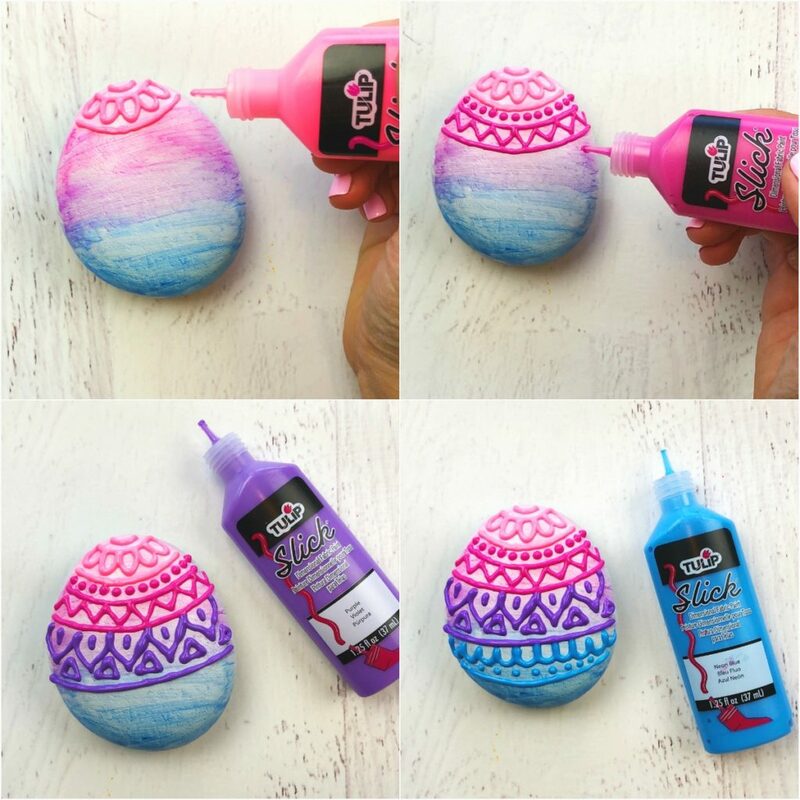 Step 1: Start by covering your rock with two coats of white acrylic paint. If you are covering a large amount of rocks, you can instead use this white paint and primer spray. 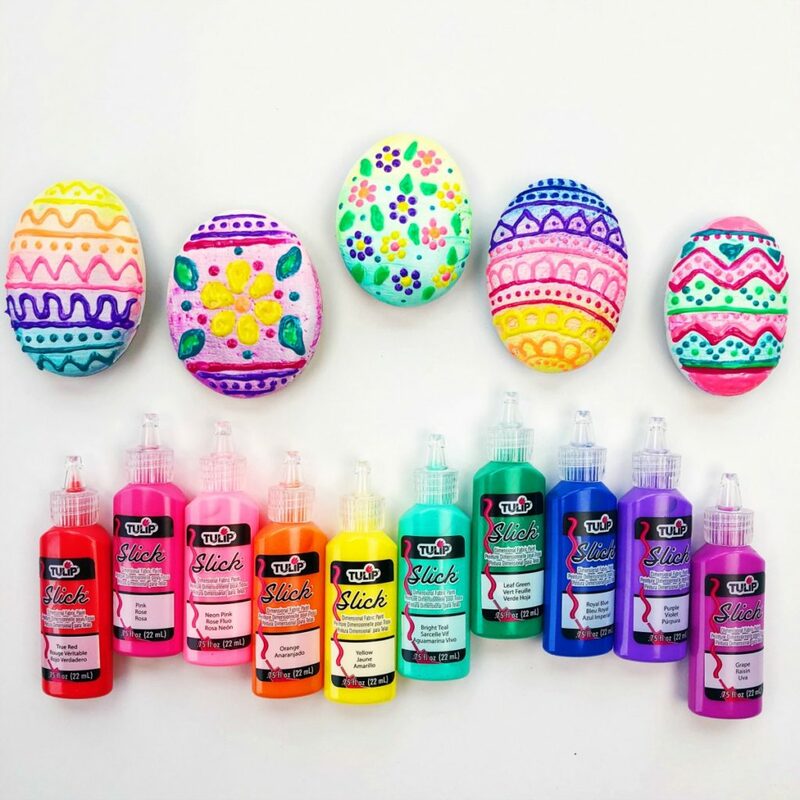 Step 2: Decide which puffy paints you want to use as your background colors and add each one to the rock using a paint brush. Add an additional layer or two of each color to make the background more opaque. 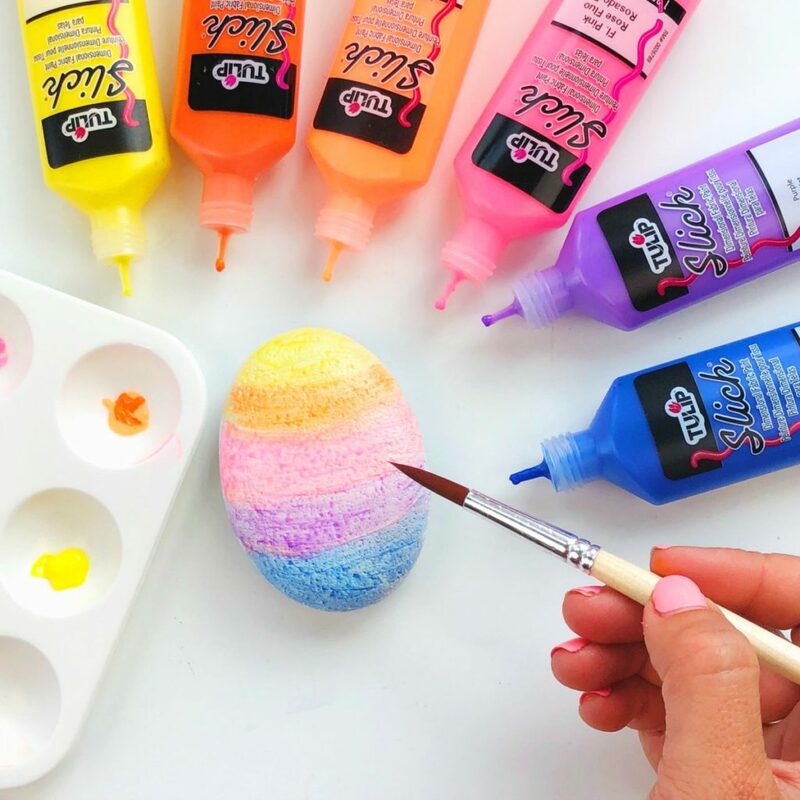 Step 3: Add your rock painting designs to the rock using the Tulip dimensional puffy paint. If you make a mistake, you can simply use a Q-Tip to wipe away the paint. Step 4: Once your rock designs are completely dry, you can add an optional sealant although the rocks still stay vibrant without one. For a glossy glass like finish, I love this gloss spray sealant. If you prefer a more matte finish, my favorite sealant is this matte clear finish. 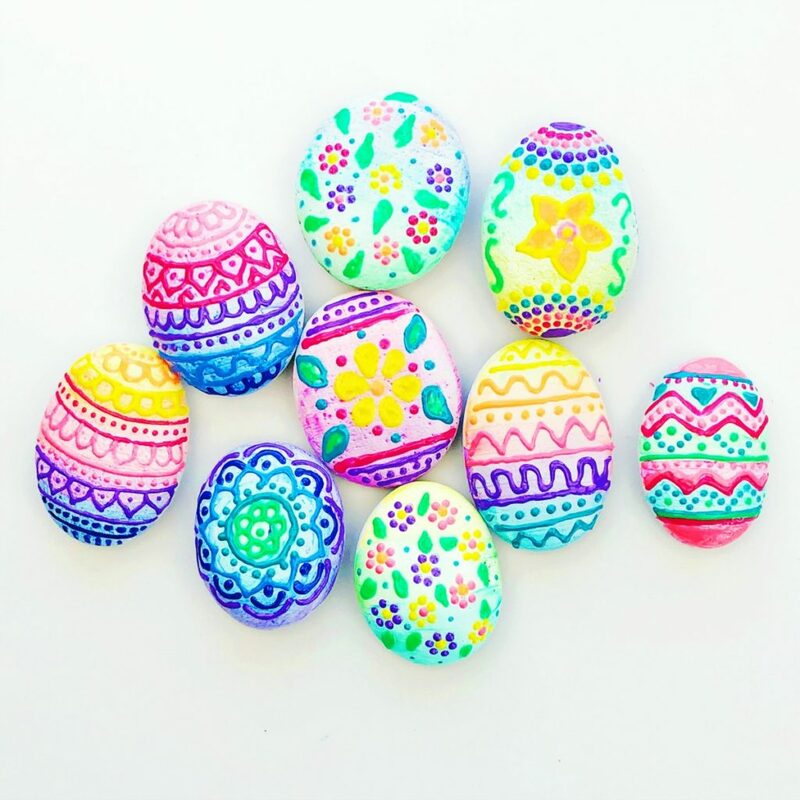 For more colorful inspiration, head over to my Instagram page or Facebook page And be sure to come share with me pictures of your finished rocks. I love sharing projects that were inspired by my tutorials with my followers. 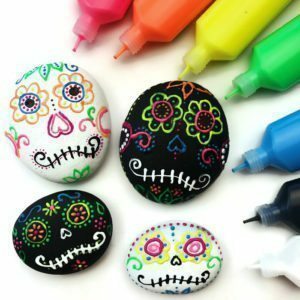 If you like painting rocks, check out my other rock painting posts with more ideas to inspire your rock decorating. Looking for more rock art inspiration? Check out my book, The Rock Art Handbook! 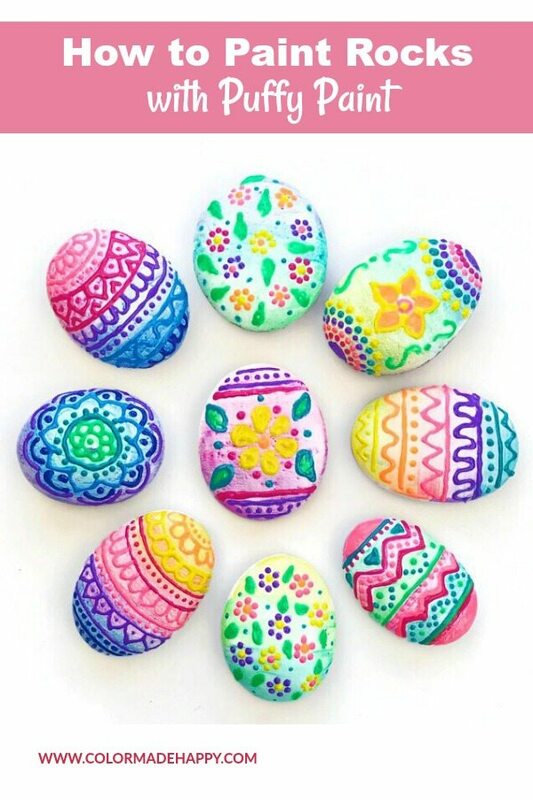 It has over 30 different rock art tutorials featuring dot painting, marbling, embellishments, dec oupaging and much more. 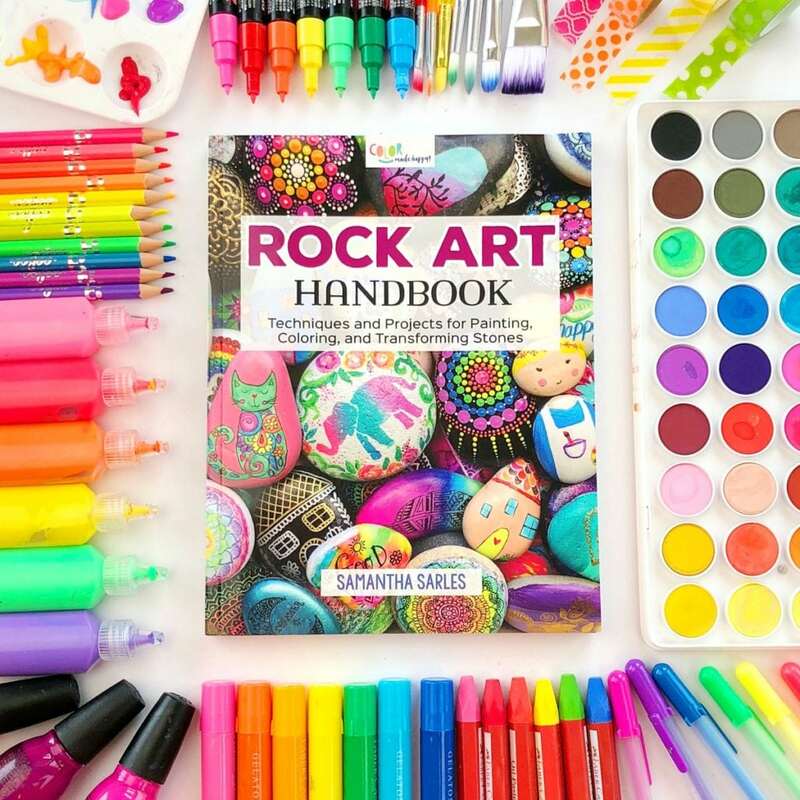 In the book I go in-depth on different art supplies that you can use on rocks and provide a ton of tutorials to get your creativity flowing. Where can you buy Puffy Paint please. You are VERY calented and creative! 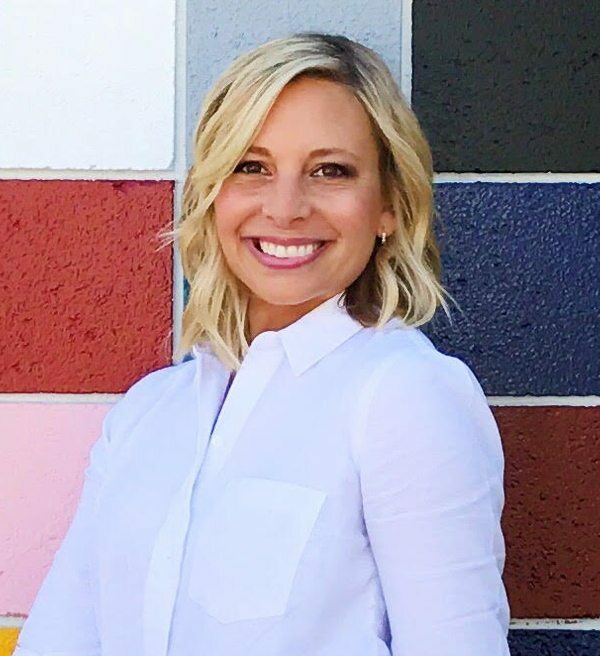 I see in your galaxy post that you love Martha Stewart paints, and they are nice colors. Have you ever tried Lumiere or Pearl-Ex? They are out of this world amazing metallics! I haven’t tried either but I’m adding them to my list ASAP!